As I mentioned previously, I’m a Pull-Ups® First Flush Ambassador. With help from the Pull-Ups Big Kid Academy, Jason and I are working with Evan to begin the long journey toward potty training. 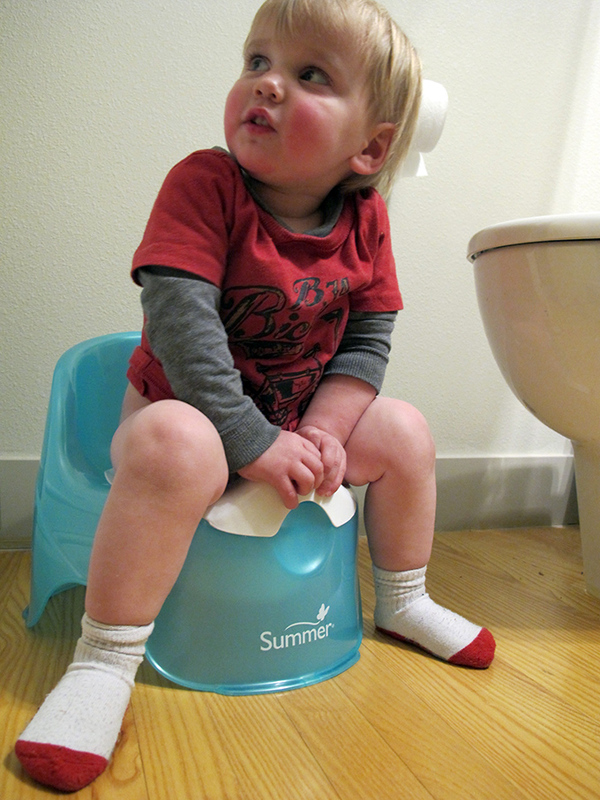 Evan is still in the early stages of potty training – he’s getting comfortable with the idea of the potty and what it’s used for. 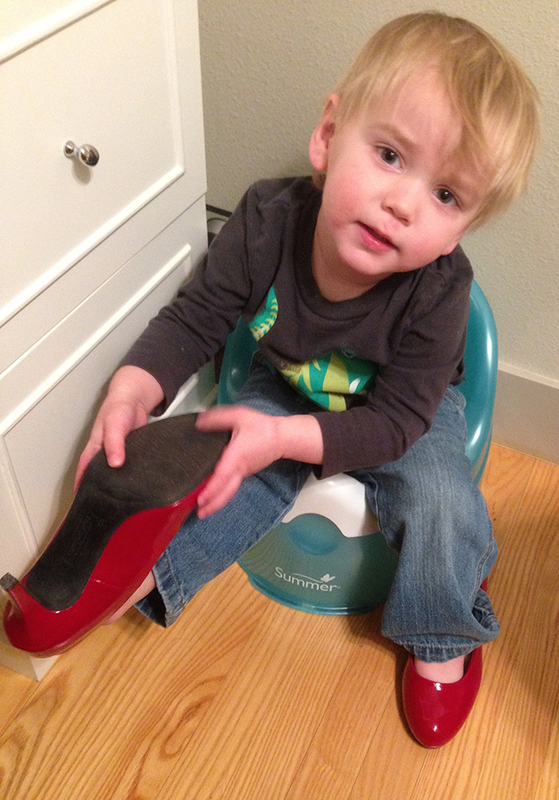 Like this weekend, for instance, when he put on my high heels and toddled into the bathroom to sit on his potty fully clothed. I let him know when I’m going to the bathroom, and sometimes he’ll come along and sit on his own potty while I hang out on the grown-up version. 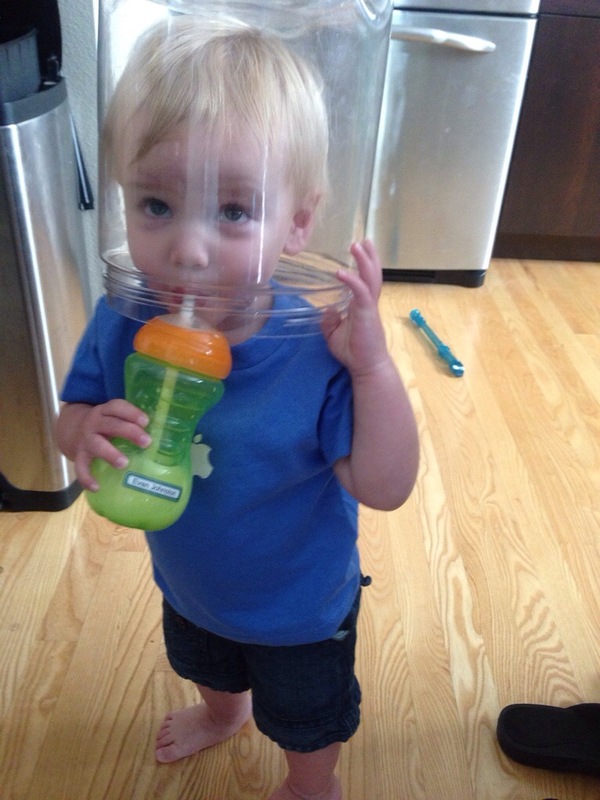 When they tell you your privacy disappears once you have kids – they mean it. 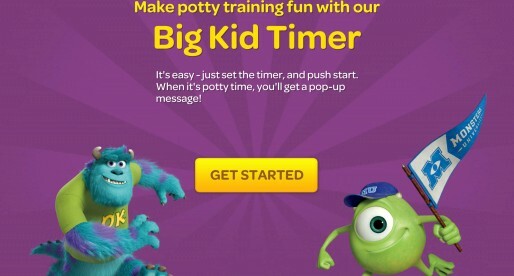 This whole potty adventure is just as much of a learning experience for Jason and I as it is for Evan. 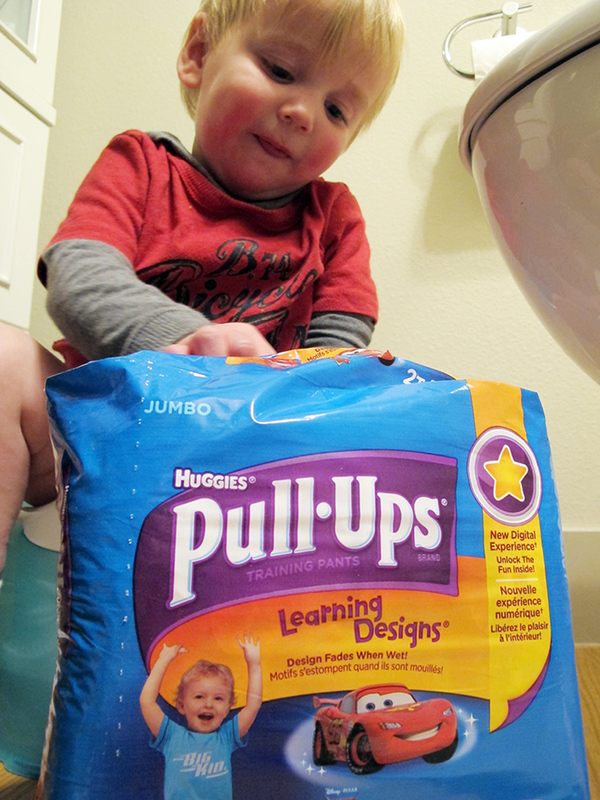 We’re experimenting with the Pull-Ups as an alternative to Evan’s regular diapers. We even gave his daycare teachers a package to use at school. They appreciated that the Pull-Ups still have tabs on the sides so the training pants can be open and closed like a diaper. But since Evan is fully capable of pulling his pants up and down, getting some practice with the “underpants” part of the equation now can’t hurt, even if he’s still not sure what to do once he gets his pants off. He likes the novelty of the “racecar” pants, but he also asks for his “mickey diaper” when he’s getting changed. So I sense we’ve still got a ways to go before he’s completely comfortable with the idea of removing his training pants or diaper himself. 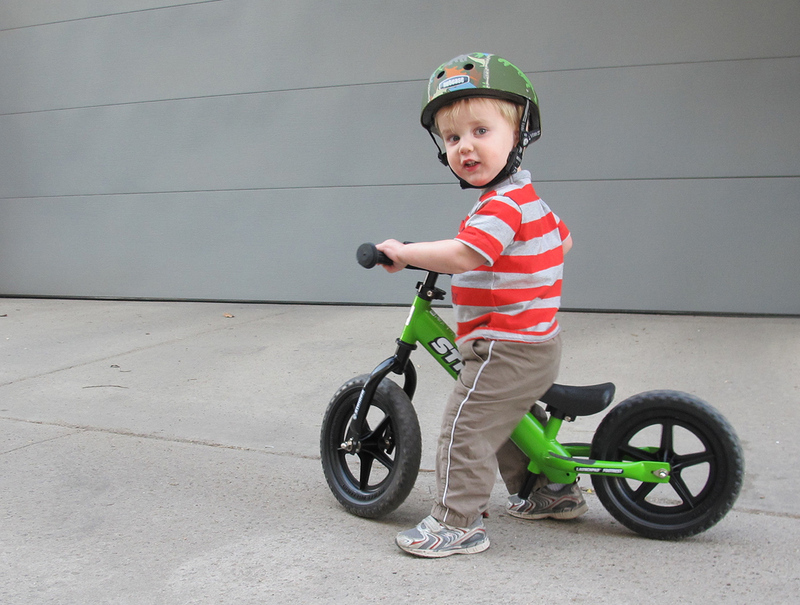 But it’s still something we’re working on – there’s a great article in the Pull-Ups Big Kids Academy about making the transition from diapers to training pants. 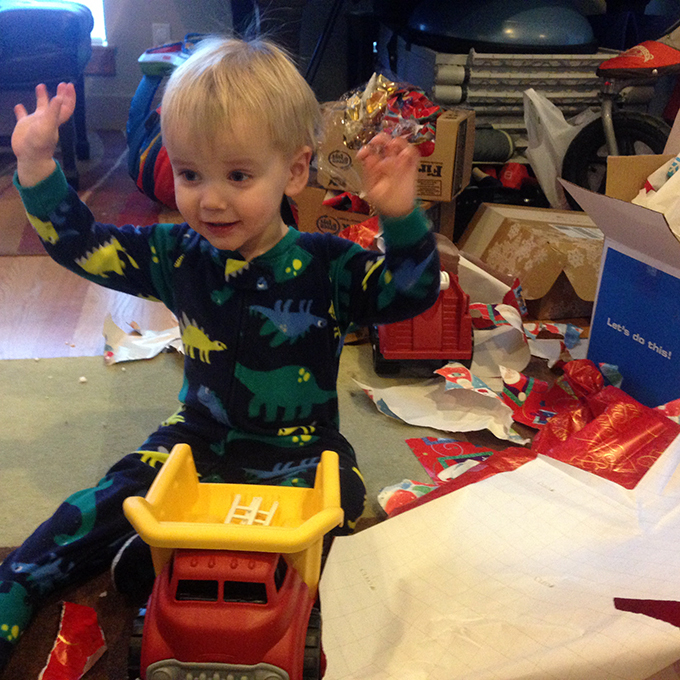 One key thing that didn’t occur to us is to not use them as a diaper replacement right away. Just having Evan practice putting the training pants on and taking them off will help get him accustomed to the pants’ purpose before he actually begins using them. This can happen near the potty, too; first taking the pants off, practicing sitting on the potty, and then pulling the pants back up. Even if nothing “comes out,” Evan will learn the proper chain of events. 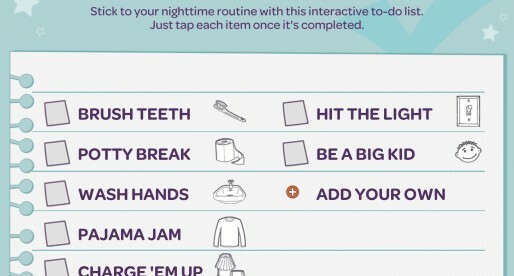 One great tool that’s been fun for Evan and useful for us is the Pull-Ups Big Kid App. 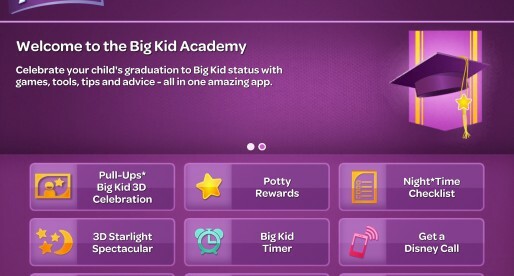 There’s a fun star-based game that keeps him tapping, and there are handy potty training tips and tricks for us. 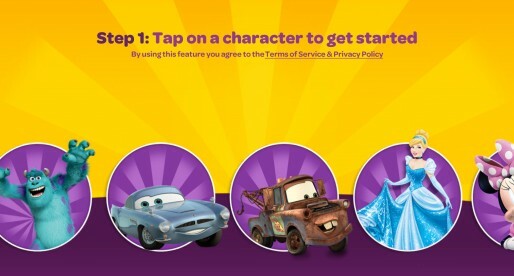 We can also schedule a phone call for Evan from one of several Disney characters (Mater is Evan’s favorite), and there’s even a checklist of nighttime activities so we can stick to a routine that includes practicing our potty skills. 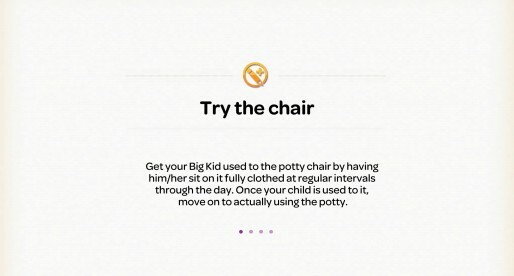 Since we’re still in the early stages of potty training, there’s a world of functionality in the app that will become more useful the further we progress. If you want to learn more about Pull-Ups and their wealth of info about potty training, visit the Big Kid Academy website or keep up with Pull-Ups on Facebook and Twitter. 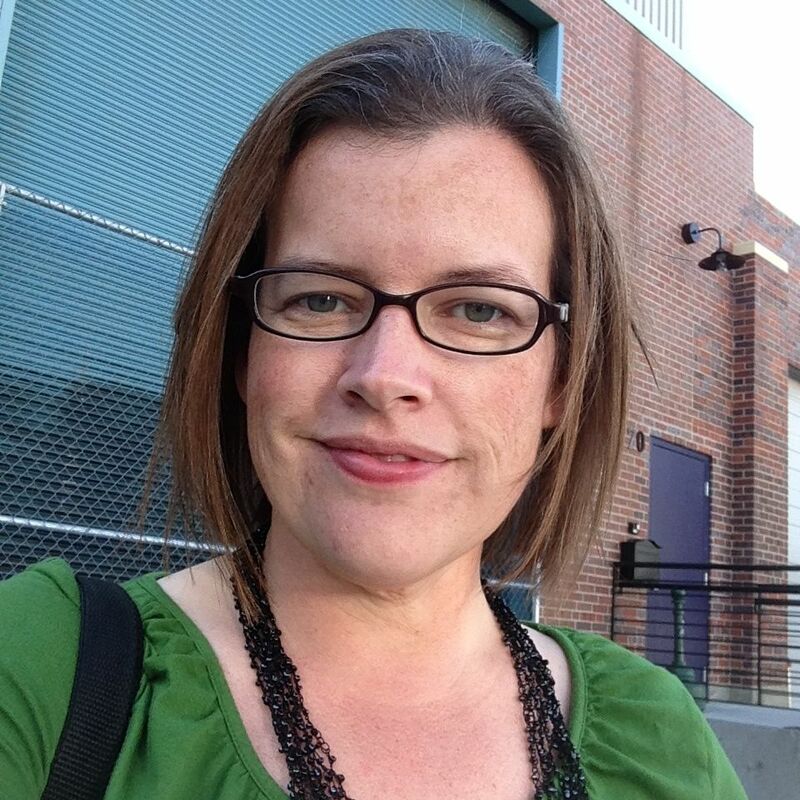 I participated in a campaign on behalf of Mom Central Consulting (#MC) for Pull–Ups. I received product samples to facilitate my review and a promotional item as a thank you for participating.